You will earn 42 WayPoints for each product that you purchase. 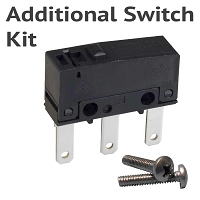 Bulk package of 5 un-assembled BullFrog switch machines. Save $4.50! One of the least expensive manual turnout controls available anywhere, the BullFrog not only offers a low cost manual turnout control solution, but includes all of the same features you come to expect from a turnout control plus more. Solid, Robust Operation - Thoroughly tested to over 100,000 operations! 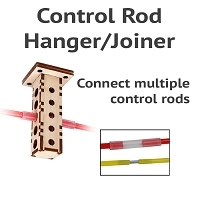 Full Selection of Supporting Products - Control rods, joiner kits, rod hangers, panel knobs, etc. 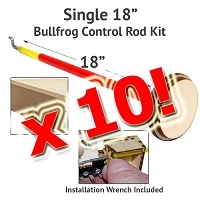 The BullFrog is easy to mount under your layout with just two screws and will work with all scales from Z to O. 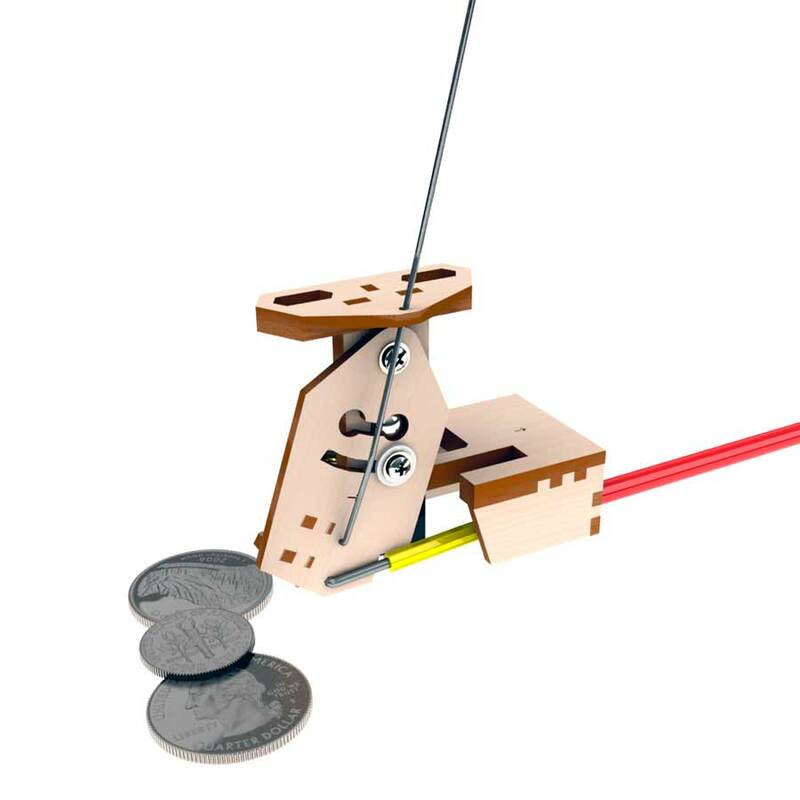 The control wire offers high torque and a long throw, making it easy to mount the control with minimal alignment problems. 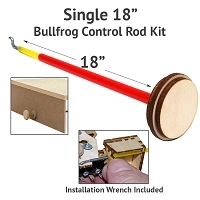 Use your own control rod, or purchase the control rod kit to connect the BullFrog to your control panel using a a nylon control rod that includes a Z bend connector, and decorative knob. 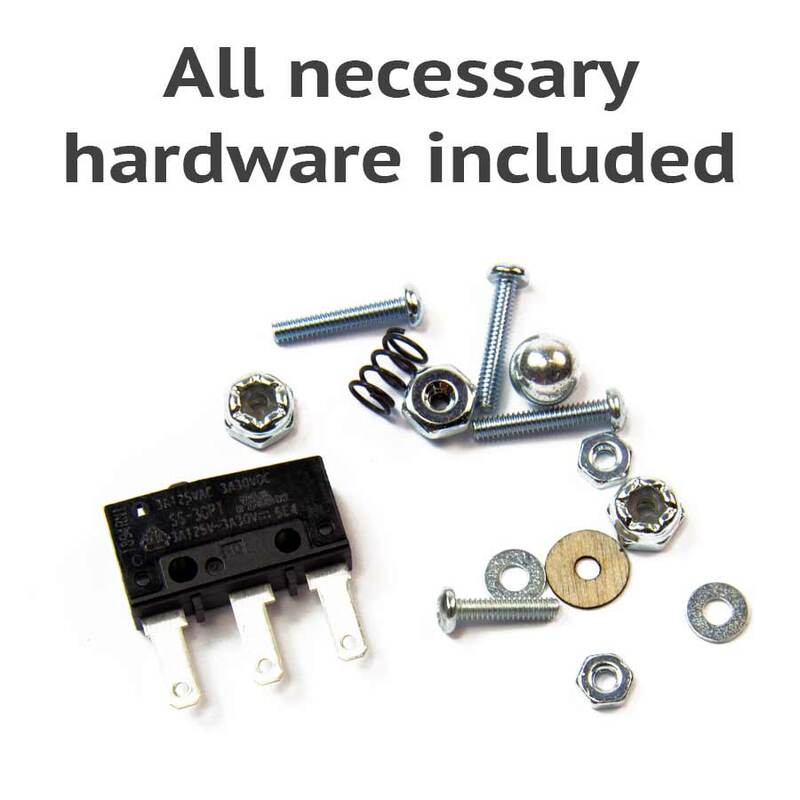 We also offer a number of additional accessories. Will the BullFrog fit under your layout? 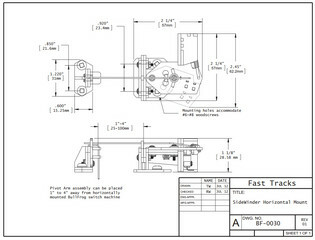 Download the detailed dimensional diagram of an assembled BullFrog to be sure. 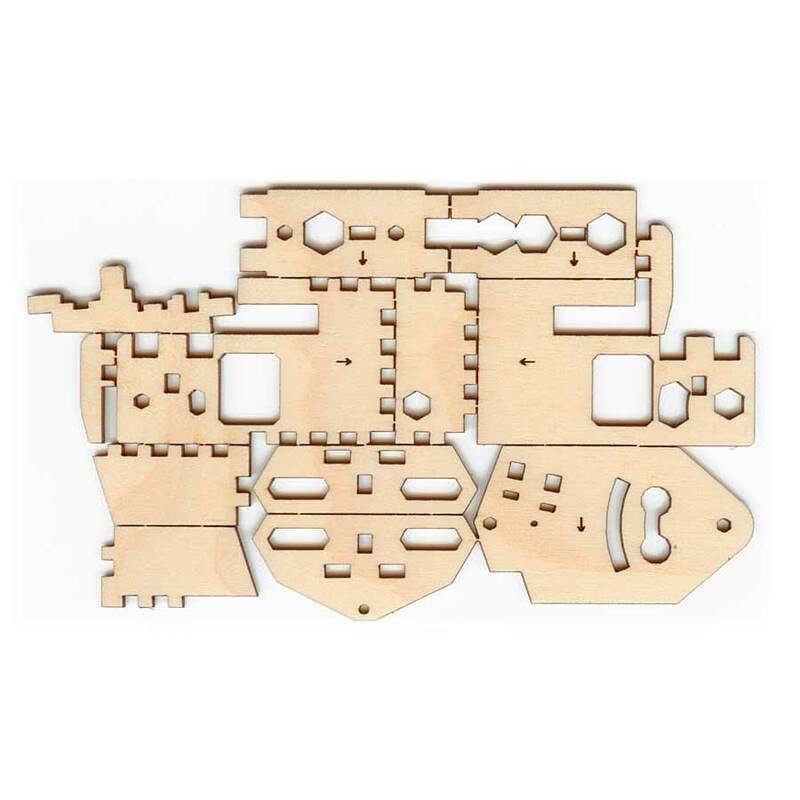 The control rod (the rod that connects the BullFrog to your control panel) is sold separately and can be ordered from here. 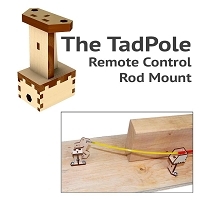 The movement of the control rod is approximately 1". This is a well made product that works perfectly. It is simple to build, install and use. This allows you to get on with the modelling rather than spending time on complex fragile systems. 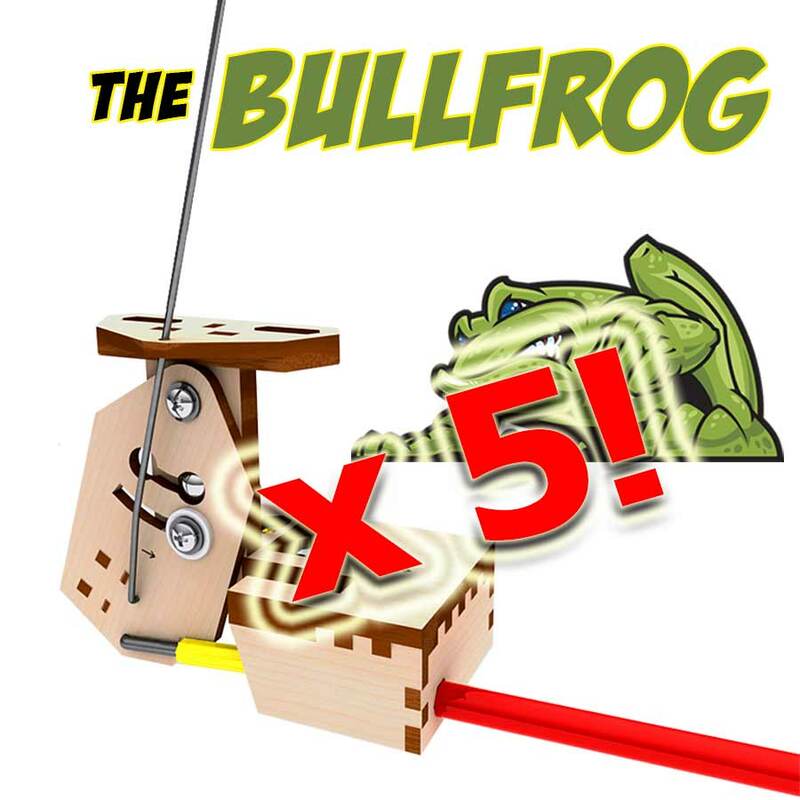 The BullFrogs arrived here in the UK five days after being ordered - very impressive service. Top product, I used it on several layouts now! 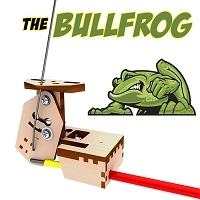 The BullFrog works very well once you figure out the instructions. Do yourself a favor and download the complete instructions from the website and watch the videos. The instructions in the package have not been corrected. 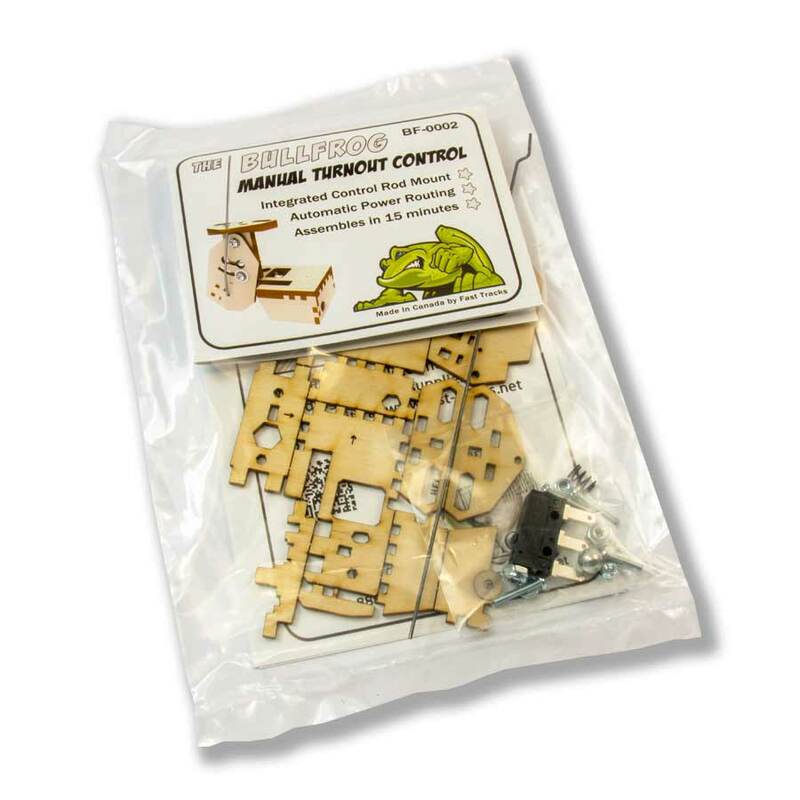 I took a chance when I ordered the BullFrog turnout controls. I've had issues in the past with getting Tortoise machines to align properly and then there was the issue of wiring them... None of those issues with the BullFrogs. They are easy to assemble and are very easy to install. Admittedly, the wiring isn't an issue as I am going dead rail and full manual but they were a breeze and a great deal. Way to go Tim! 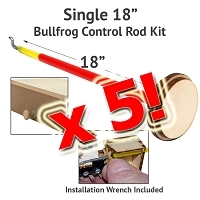 BullFrog Control Rod Kit - 18"
5 Pack Control Rod Kit for BullFrogs-18"
10 Pack Control Rod Kit for BullFrogs-18"
5 Pack Control Rod Kit for BullFrogs-36"
10 Pack Control Rod Kit for BullFrogs-36"